The stand-alone sequel to The Doldrums, which the New York Times called “a dreamy charmer of a book,” is a second tour-de-force by author-illustrator Nicholas Gannon brimming with the spirit of exploration and celebrating the bond of friendship. Gorgeously realized with Gannon’s distinctive full-color art. In the sequel to the Indies Next and Indies Introduce pick The Doldrums, Archer Helmsley’s grandparents—famous explorers who went missing on an iceberg two years ago—are finally coming home. Archer is overjoyed, but he may be the only one. Rumors are flying that Archer’s grandparents were never really abandoned on the iceberg; that they’re making it all up. Archer knows the rumors are false. With his best friends, Oliver and Adelaide, and their new neighbor, Kana, Archer sets out during a snowstorm to rescue his grandparents’ reputation. 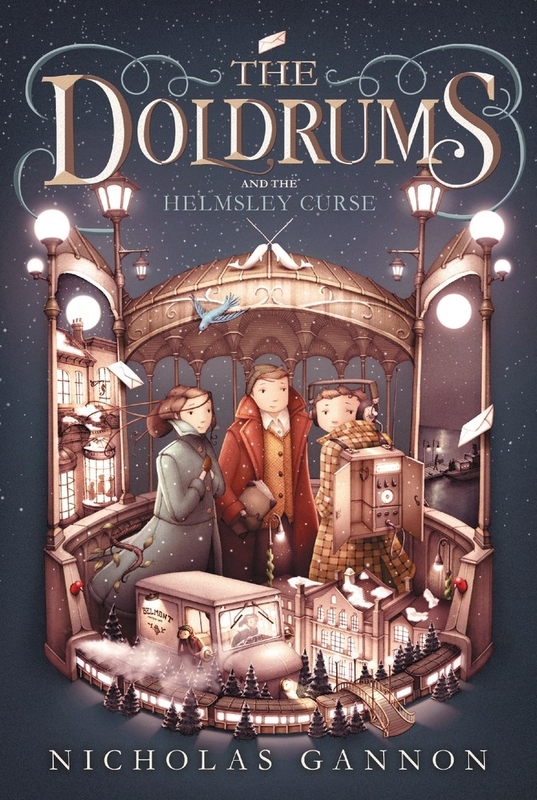 Nicholas Gannon’s return to the wildly imaginative world of The Doldrums is packed with sly humor, an undeniably charming cast of characters, and the thrill of discovering secrets and adventures right in your own backyard. With approximately twenty pieces of full-color artwork, as well as black-and-white spot illustrations, and deft, literary writing, Nicholas Gannon once again creates a fully realized world and a story to sink into and explore. Featuring a cozy winter setting, this exquisite package is a perfect gift for the holidays, with a timeless tale that will appeal year-round. Includes full-color illustrations and black-and-white spot art by the author. NICHOLAS GANNON is a graduate of Parsons School for Design, and this is his second book. He has lived in many places since his childhood, including Minnesota and upstate New York, and he now resides in Brooklyn, New York.